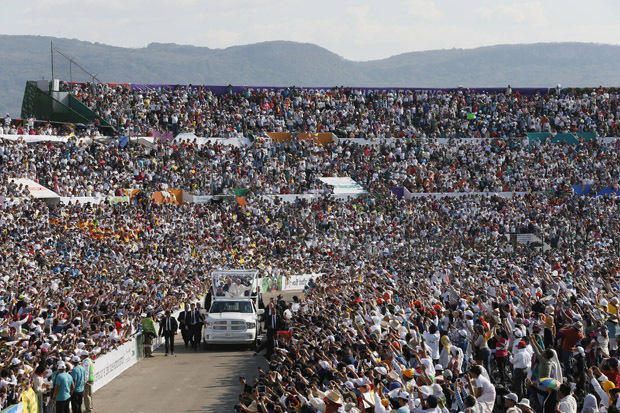 SAN CRISTOBAL DE LAS CASAS, Mexico (CNS) — Pope Francis warned against moves to diminish the importance of the family, peppering his talk with anecdotes and off-the-cuff remarks that kept a packed soccer stadium cheering, laughing and applauding. 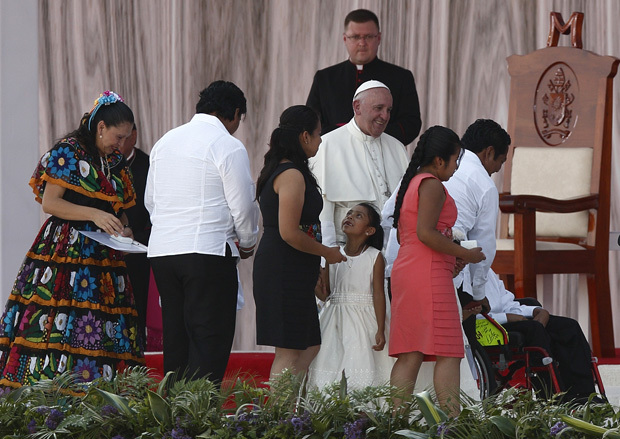 The pope’s focus on families turned the focus of his six-day visit toward the pastoral issues after hitting hard on matters such as corruption, crime and the country’s often impoverished and exploited indigenous populations. During the event, a couple from the city of Monterrey — one of whom was divorced — spoke of the stigma and sense of not belonging by not being able to receive Communion, but finding a home in the Catholic Church by serving others and organizing pastoral projects. Another speaker, single mother Beatriz Munoz Hernandez, 52, spoke of a childhood marked by “poverty, violence and abandonment” by her father, then of becoming pregnant as a teenager. 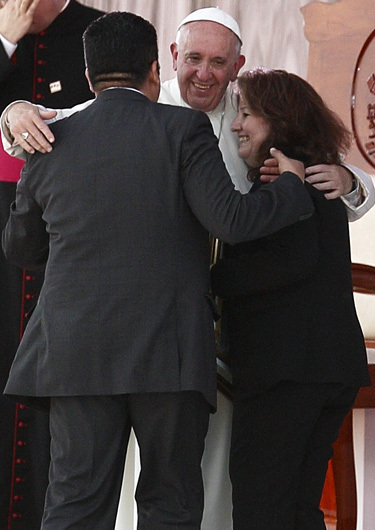 “I found the love of God through his church and he rescued me, announced that he loved me, that he didn’t reject me and, above all, that he forgave me,” said Munoz, adding her faith helped in overcoming the temptation of seeing abortion as a solution to several pregnancies.